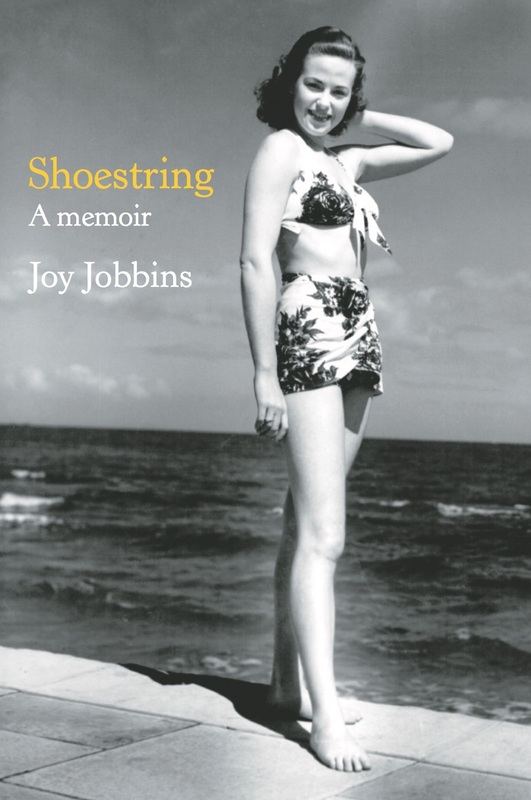 Joy Jobbins’ life is rich in experience and humour. From an idyllic Australian childhood in Bondi, as daughter of Cinesound cameraman George Malcolm, through a candid portrait of marriage, Shoestring traces the trials and tribulations of a working mother of five, ‘tycooning’ as an advertising executive in the male-dominated fashion and wool industry of the 1950s. In comic detail it tells about receiving personal advice from actor Chips Rafferty; being stranded on a snow-covered mountain with Helmut Newton and Maggie Tabberer; applying makeup to a nervous Lawrence Olivier; having lunch with Jimmy Stewart in the Mojave Desert; and pumping water out of the Sydney Opera House prior to its completion for a preview fashion parade. It also navigates the hazards of alcohol consumption in the advertising world and in the rural bohemia of Eltham, Victoria, where she lived. It’s a memoir told with verve, which inspires the reader to live to the fullest – even if it’s only on a ‘Shoestring’.